While installing a brick driveway or patio may seem like a good idea; it requires a lot of maintenance and repairs throughout the years. With custom concrete, you can create a patio or driveway that resembles brick without having to worry about maintenance and repairs. 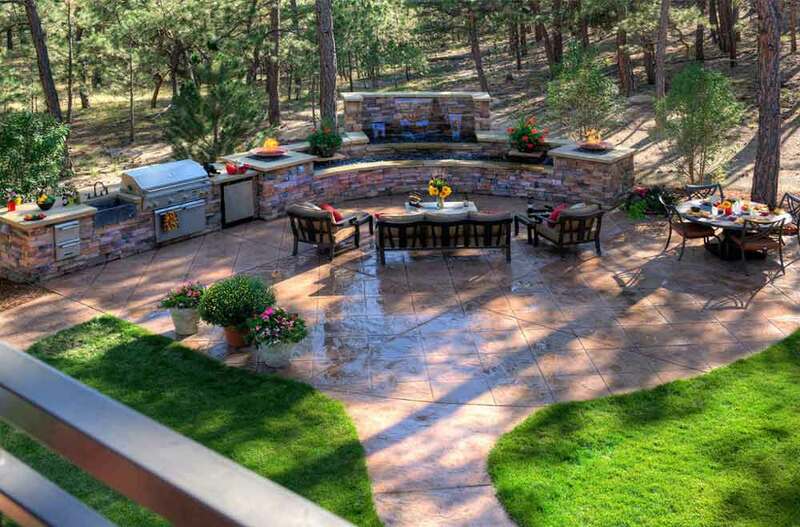 No matter what your design or style preference is, our concrete crews can easily bring you dreams to life. From pool surroundings and patios to driveways and retaining walls, there’s nothing we can’t handle. Concrete doesn’t have to be a boring grey slab. 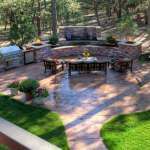 When you consider things like stamped, decorative, or coated concrete, you’re opening up a realm of new possibilities. Our experienced concrete experts know what it takes to bring your creative thoughts to life with ease and precision. We’re committed to providing you with the highest level of quality in North Carolina and Southern Virginia. When it comes to innovation, no one knows how to make things happen more than our crews. Just bring your design ideas to us, and we’ll breathe a life into them that you never thought possible. Concrete rampsand so much more! 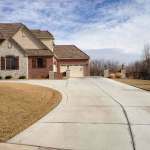 When we finish with your concrete installation, your entire neighborhood will follow suit. This is because your outstanding concrete installation increases your curb appeal and the overall value of your home. While you’re busy making your home look picture-perfect with your new concrete installation, it’s taking away from the beauty of the homes around you. Not only will this help you stand out, but it will give your neighbors a little healthy competition. Everyone who passes by will be taking second and third looks at your home. When people visit your home, you want them to know that you take pride in your investment. 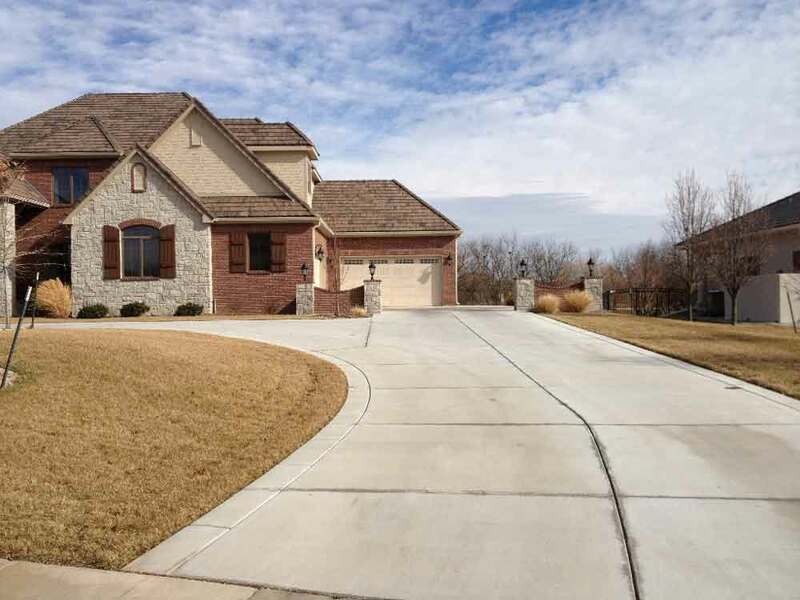 With a new stamped driveway or concrete patio, you’re showing everyone who stops by that you value the place you live in and want it to look its best. People will be more likely to respect your home simply because you’ve gone to such great lengths to improve it. Don’t waste your time on a concrete company who doesn’t care about your needs. At We Do Concrete Cheap, we’re committed to making your needs and wants our number-one priority. We treat every project as if we’re installing concrete in our own home. When you come to us, you’re more than just a job for the day. We treat you like a member of our own family. It’s time for you to bring your residential concrete dreams to life. Whether you’re in need of a repair or an installation, you’re GUARANTEED to be blown away by the quality of our service. Give us a call now to learn more about what we can do for you. We’ll get you started with an honest and accurate quote. When all your neighbors are stopping by to compliment your new concrete installation, you’ll be glad you made the choice to call us.